For September’s download, NCI provides a procedure for technicians to use with the Testo 605i Psychrometer. 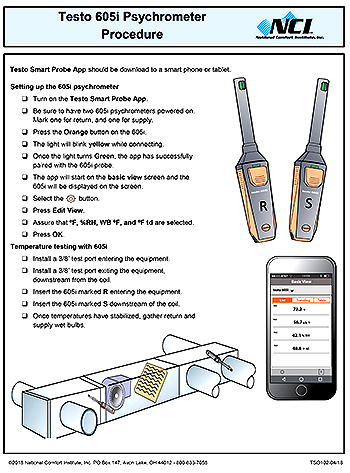 This data sheet is for using the Testo Smart Probe App with the 605i. It provides a 10-step procedure for setting up the psychrometer, and then a five-step procedure for using both to conduct temperature testing. Includes helpful images and diagrams showing where to use the 605i on the ductwork as well as how to use the app to read the measurements. Go to ncilink.com/md1018 and download it today!!! 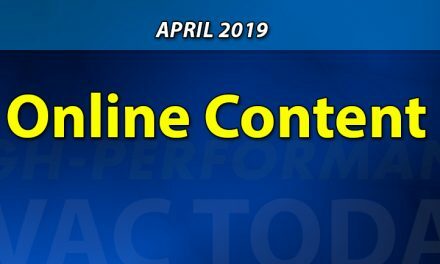 By registering for free on the NCI website, access this download and many more. 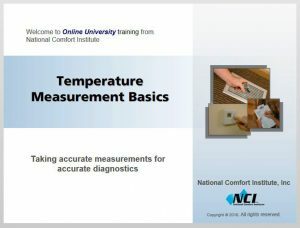 Featured this month is the NCI System Temperature Measurement Basics module of the Advanced Technical Training series of online training. Accurate temperature measurement is one essential skill you need to effectively test HVAC systems using NCI’s exclusive procedures. System temperature measurement brings a new dimension to testing. 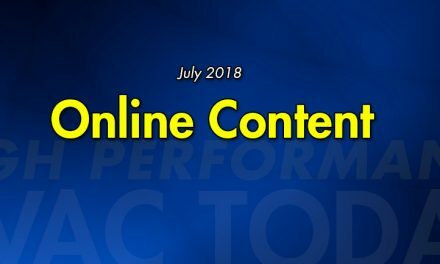 In this NCI class, you will uncover the reasons why installing higher AFUE and SEER equipment is not always the solution to energy efficiency issues. Economizers are in the spotlight as a prime opportunity for energy savings in the commercial HVAC marketplace. 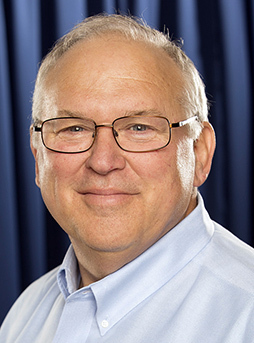 NCI Blogger Rob Falke says that it’s said, with little argument from those in the field, that nearly 80% of air-side economizers are non-functional. So if that’s true, opportunity is calling any mechanical contractor willing to step up and take this bull by the horns. Read his blog post at ncilink.com/econrepair. When the team works together to solve problems and agrees on how to deliver solutions, they all become stronger and more receptive to each other’s needs. 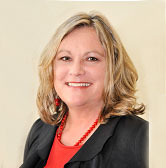 In this Legacy Series Post, Nita Brooks shares how, in a positive teamwork environment, the group values collaboration and accomplishes so much more. This month we feature the Danfoss Refrigerant Slider App. It provides you access to a user-friendly, quick pressure-to-temperature refrigerant converter. The tool covers more than 80 refrigerants, including natural refrigerants, ammonia, and transcritical CO2. Danfoss provides information such as Global Warming Potential (GWP) and Ozone Depleting Potential (ODP). The tool is based on NIST Refrigerant Properties and is using the Antoine equations for the conversion. You can see both dew and bubble point for refrigerants with glide. Please note that the Refrigerant Slider is not a scientific tool and is intended only as a tool for use in the field. This FREE app is available in both the Apple (ncilink.com/RefrigApp2) and Google (ncilink.com/RefrigApp) App stores..